Is iPhone screen replacement coming to the Genius Bar? Home » MC Services Blog » Is iPhone screen replacement coming to the Genius Bar? When it comes to any technology hardware, one of the most unfortunate truths is that it can break down. It is a machine, and whether it's through extended use or human accident, it will eventually need to be replaced. To see how prevalent this can be, just watch the Genius Bar of any Apple retail store to see the line of people every day that have cracked screens on their iPhones and iPads because they dropped them. These individuals are about to get some good news, as 9to5Mac is reporting that on January 20, Apple will begin replacing or repairing iPhone 5c displays at the Genius Bar. Other iPhone models are expected to be added later this year. This will be the first time that the company has offered a way for customers to have the front display fixed. 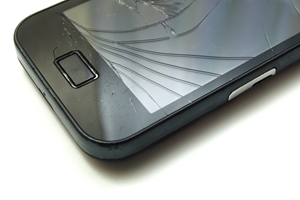 Previously, Genii had only been able to replace the backplate of mobile phones. "Apple has begun conducting iPhone 5c screen replacements in a small number of stores in the United States over the past couple of months, but the January 20 rollout will represent a full-scale launch in all of Apple's retail regions aside from Hong Kong and Canada," the article reads. For this to happen, retail stores are being outfitted with special calibration machines to ensure the screens operate after replacement. This repair is rumored to cost $149 without the AppleCare warranty ($79 with it) but will be well below the cost and hassle of replacing the entire phone. For businesses outfitted with Apple products, reliable Mac repair is key for success. An experienced IT solution provider that understands Apple and can fix hardware can become a valuable resource.